After some debate about a War Memorial for Stourbridge and Amblecote the Cricket Ground in Amblecote was purchased and the War Memorial Club building was erected for the use of ex-servicemen. 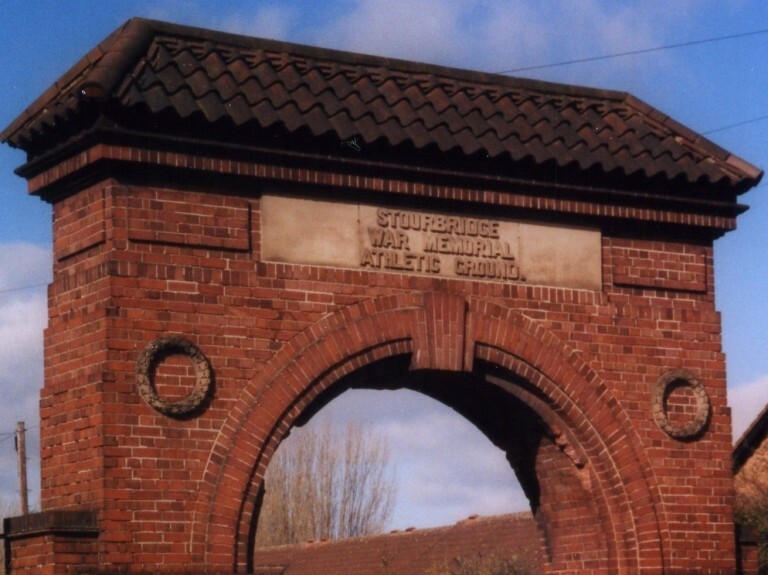 The ground became an athletics ground for several activities and a most impressive brick entrance arch was erected, similar to the Gheluvelt arch in Worcester. It, therefore, records what was one of the early successes of the Worcestershire Regiment in October 1914 of halting the German assault on Ypres. It has no personal names and Amblecote names can be seen on the lych-gate memorial of Holy Trinity church over the road and Stourbridge names on the memorial in Mary Stevens park. Royal Welsh Fusiliers.26 September 1915.